OTTAWA -- Former defence minister Jason Kenney is rejecting suggestions he pushed the Harper government to negotiate a $700-million deal with a Quebec shipyard because of electoral considerations. The contract was to refit a commercial vessel into a navy supply ship. 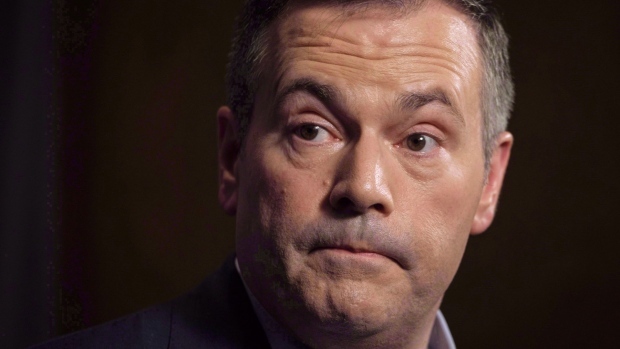 The current Alberta opposition leader says his only thought as the Conservatives were weighing the sole-sourced deal with Davie Shipbuilding in 2015 was the navy's urgent need -- a point that he says he emphasized to his fellow Tory ministers. "I was always clear with my colleagues in government that the only consideration should be meeting the navy's urgent operational requirements as quickly as possible," Kenney said in a statement Friday, "and that regional political considerations should not be a factor in the decision." The comments are in response to a Canadian Press article this week that cited an RCMP interview with a federal civil servant who attended secret cabinet meetings about the controversial project under both the Harper and Trudeau governments. A partial transcript of the Mounties' interview with Privy Council Office analyst Melissa Burke was filed in court by suspended Vice-Admiral Mark Norman's lawyers and made public last week. Her comments have not been entered as formal exhibits or tested in court. Suspended as the military's second-in-command in January 2017, Norman was charged this past March with one count of breach of trust for allegedly leaking cabinet secrets to Davie. He has denied any wrongdoing and vowed to fight the charge. Burke told the Mounties in January 2016 that both the Conservatives and Liberals were highly conscious of Davie's location in Quebec -- just across the St. Lawrence River from Quebec City -- and worried about the impact not signing the deal would have on their respective political fortunes because of the money and jobs it involved. 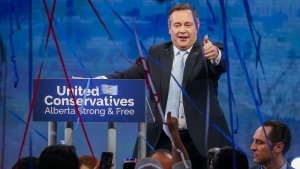 Burke said in her police interview that Kenney underscored the importance of the deal to both the navy -- which did not have any support ships at the time -- as well as the Tories' electoral prospects during a cabinet meeting in April 2015. Kenney, however, said while he would not reveal cabinet secrets, "I can confirm that I did not say the words cited in Ms. Burke's deposition." The Conservatives decided in June 2015 to launch negotiations with Davie and changed federal procurement rules to allow a contract without a competition, but the deal was not finalized before the October 2015 election. After the Liberals won, a new cabinet committee decided to ask the company to extend the deadline for signing the contract by 60 days. Eleven days later, the Liberals approved the deal, which Burke said came after Davie threatened to close its Quebec shipyard. Davie's converted supply ship, the MV Asterix, was delivered earlier this year and is operating with the navy in the Pacific.